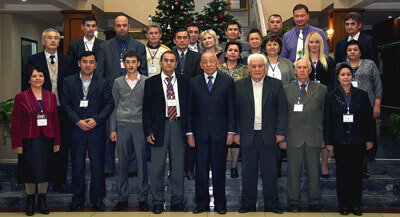 The World Vegetable Center Central Asia and the Caucasus operates from Tashkent, Uzbekistan. The office coordinates the Center’s extensive operations in the region. Activities of the Network for Vegetable Systems Research & Development initiated by WorldVeg include research with partner institutes in the region on varietal trials of improved varieties/lines, segregating and adoption of lines, seed multiplication, adoption of tomato grafting technology, workshops, capacity building, information exchange, and collection of baseline data on vegetables. In West Asia and North Africa, WorldVeg has established regional research and development activities in collaboration with the International Center for Agricultural Research in Dry Areas (ICARDA) to serve the increasing interest in vegetable production to alleviate poverty and reduce malnutrition in dry areas. 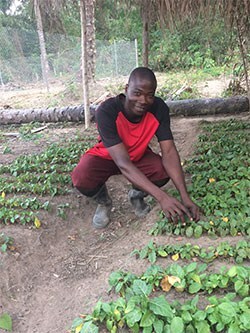 Activities focus on vegetable production in open field and protected agriculture, and the economics of vegetable production and water conservation. AVRDC – The World Vegetable Center announced today that its Director General, Dr. J.D.H. ‘Dyno’ Keatinge, will retire after eight years of service on April 20, 2016. The Center’s Board of Directors selected Dr. Marco Wopereis to succeed Keatinge as the organization’s Director General effective April 21, 2016. The 2015 Catalogue of Released and Promising Vegetable and Legume Varieties for Central Asia and the Caucasus offers a look at 98 improved varieties developed from AVRDC germplasm in collaboration with research institutions and universities in the Regional Network for Vegetable Systems Research and Development in Central Asia and the Caucasus. Crops include tomato, hot and sweet pepper, eggplant, mungbean, vegetable soybean, yard-long bean, pea, cucumber, vegetable marrow, custard squash, Chinese leafy cabbage, lettuce, celery, and basil. 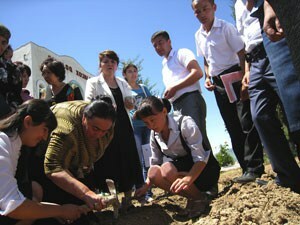 A new project to promote mungbean in Uzbekistan and Pakistan. Mungbean contributes to soil fertility, has potential for income generation, and is rich in protein, minerals and vitamins.